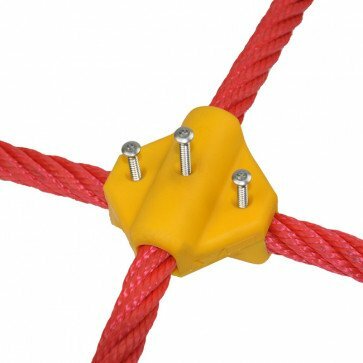 Our 16mm combination rope cross over rope connector connects ropes crossing at 90 degrees. 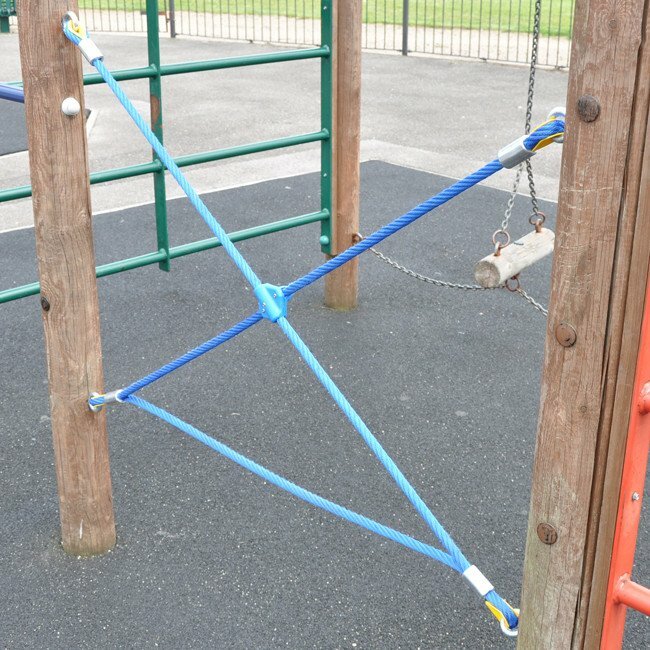 A very heavy duty 16mm steel combination rope cross over connector. The two components slide together and interlocks with 3 security screws holding the component firmly in place. Supplied in colours of Red, Black,Blue, Green and Yellow.